Row48: Now you will be closing the hood. Hold both ends of the hood together, and sc the pieces together sc x 22 through both pieces (see photo below). Now fo and turn the coat inside out, where you single crocheted the hood closed is the inside of your coat. 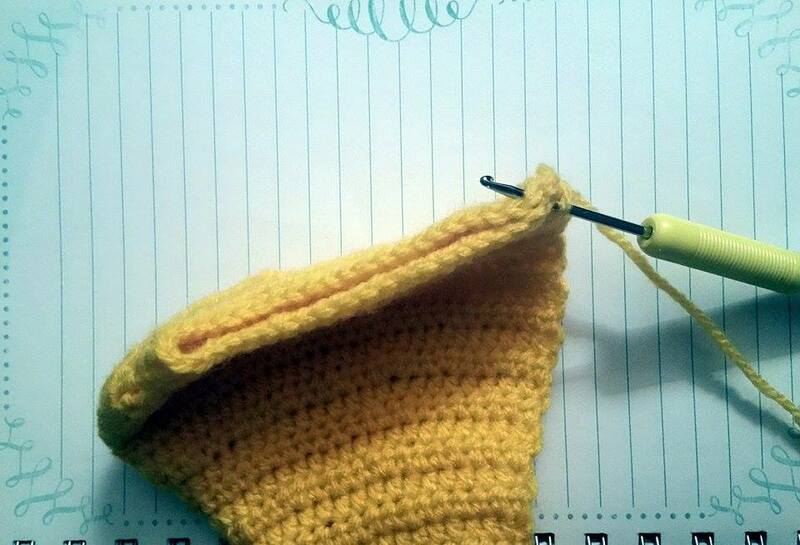 Rnd1: Insert your hook in the bottom right hand corner of the coat and with yellow yarn sc around the entire coat and fo. Stuff your dolls body firmly and sew the soles onto your shoes. Sew the body onto your dolls head. Sew on the arms, shirt collar, ears and nose. Then sew on the eyes, eyebrows, mouth and stitches. Use the loop method to add hair onto your doll. Trim the hair into a bob. Sew the wings onto the body of your dragonfly barrette, and sew it onto yours dolls head. 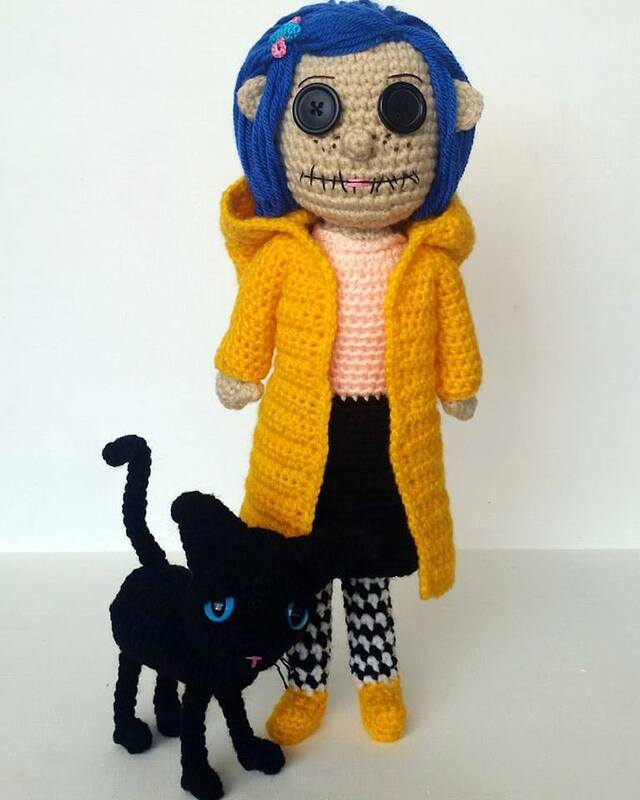 Weave in all ends on your doll and on the coat. 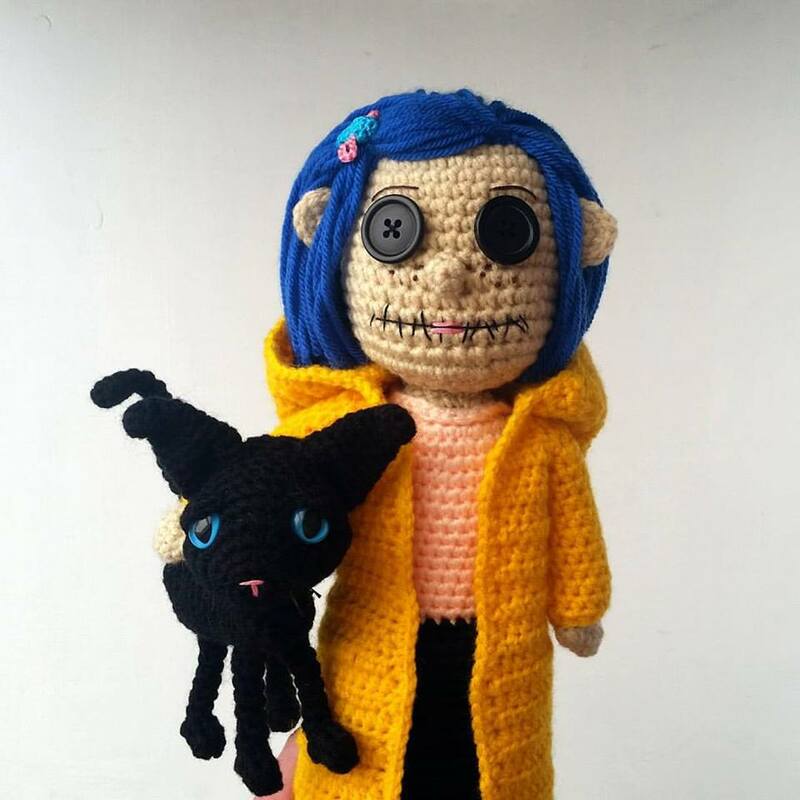 Was catching up - just had a blast from the past reading about our Alice in Wonderland swap, thought I'd come peek what you are up to...and YOU'VE MADE CORALINE! Amazing as ever. Hi Jackie, your work is amazing! 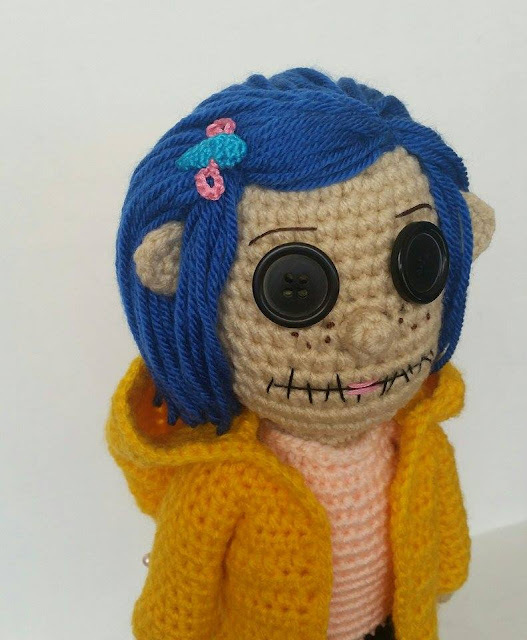 what type of yarn have you used for coraline? is this made with 4 ply worsted weight yarn for this hook size? After some Google searching, I have not found the loop method you refer to for her hair. Could you point me in the right direction please?